Geisa, October 2018. – The digital watermark, Digimarc, is the technical pioneer of a new, barely visible type of barcode, which upgrades the function of products and packaging with additional interactive information. 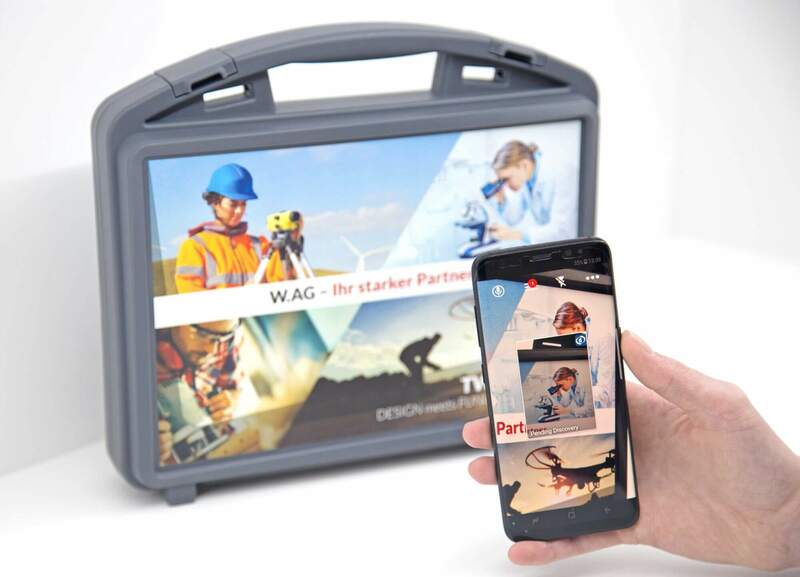 The Digimarc function corresponds perfectly with W.AG’s objective of offering the users of design cases ever more options for value-oriented customisation. In combination with the in-mould labelling that W.AG is already using, this allows for a lot more functions for the intelligent use of the plastic case. In contrast to all other ident codes – such as the classic barcode or the mosaic QR code – the Digimarc barcode scores with the decisive advantage of being virtually invisible. It does not affect the creative design or photo of the IML print on the surface of the W.AG plastic case in any way, so the “artwork” of the graphic designer, artist or photographer matched to a marketing campaign or corporate design of a company remains completely intact, to take full effect. In a way, the Digimarc functions behind the scenes of the IML print. The digital code can, for example, link to websites, interactive competitions, product videos and landing pages or the download of technical manuals, blueprints, operating and safety instructions. Furthermore, the Digimarc barcode allows the transfer of important information on goods declaration, shipment tracking, quality assurance, protection against product counterfeiting and tampering with the case. 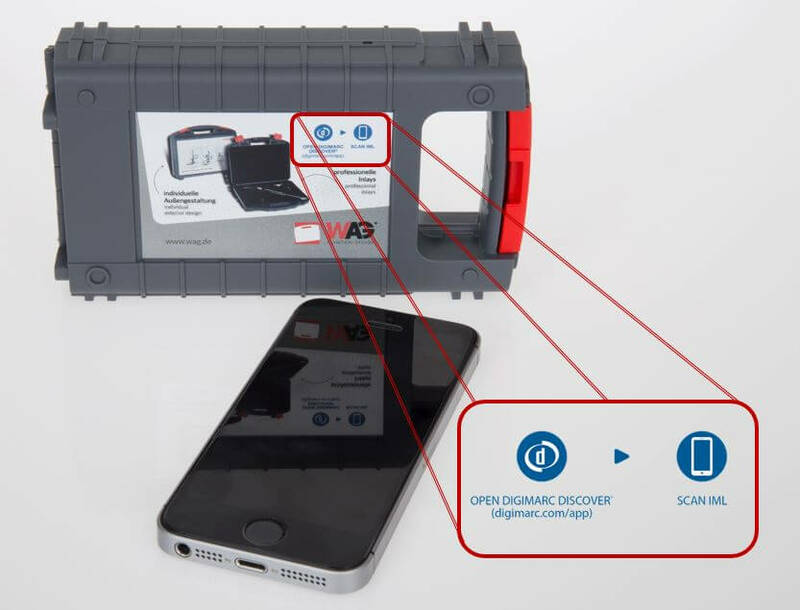 To read it, the user – or rather end user – merely scans the IML motif with the subjacent Digimarc barcode on the case lid with their smartphone and will be directly linked to the pdf, zip, mp3 or video file. The app for this can be downloaded from the app store or on Google Play for free. With the symbiosis of in-mould labelling and Digimarc barcode, W.AG offers its customers an innovative solution by combining the currently best printing technology for the creation of brilliant and scratch-resistant colour images on cases with the latest flavour of digital watermark coding (DWC). It’s important to note that the foil printing technique of in-mould labelling is one of the few printing processes that support the integration of the Digimarc function. 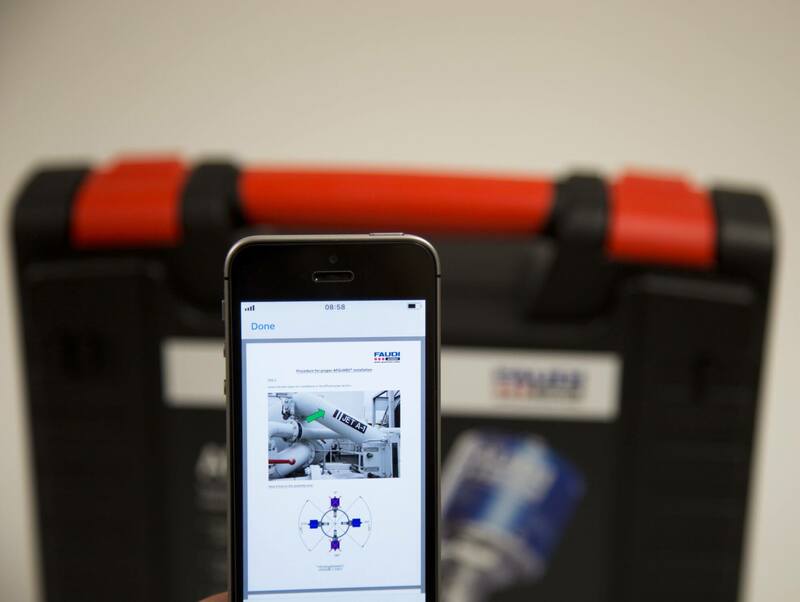 Used correctly, the Digimarc barcode can be applied anywhere on the plastic case – partially or over the entire area. The practical benefits of the combination of IML and Digimarc can be illustrated with numerous examples. 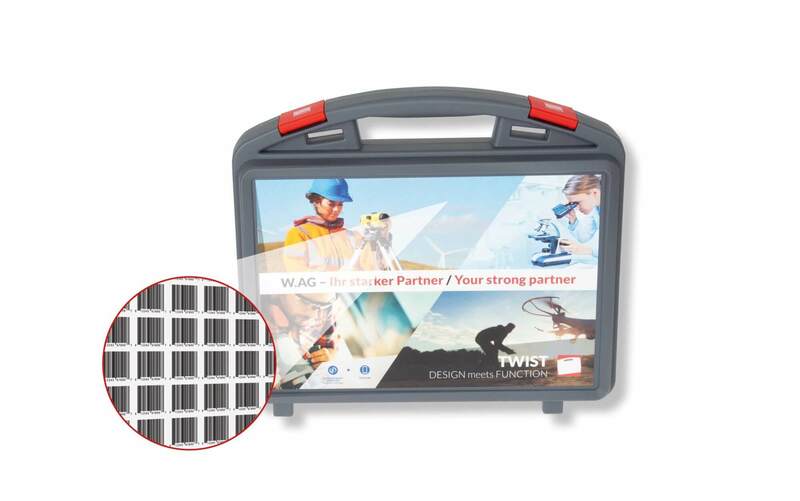 A manufacturer of tools, mobile measuring systems or medical devices, for example, can depict a razor-sharp and colourful image of his product on the TWIST plastic case – or any other IML-compatible case by W.AG -, while “storing” an invisible link to the download of the respective user manual at the same time. This saves the manufacturer all the effort and costs of producing paper print media – which would only take up space in the case anyway. The Digimarc barcode is very flexible in terms of linking and a defined URL can be changed at any time. The Digimarc barcode originates in the trade where it is read by scanners at POS points (Point of Sale), and others. At the moment it is also finding its way into industrial packaging technology. 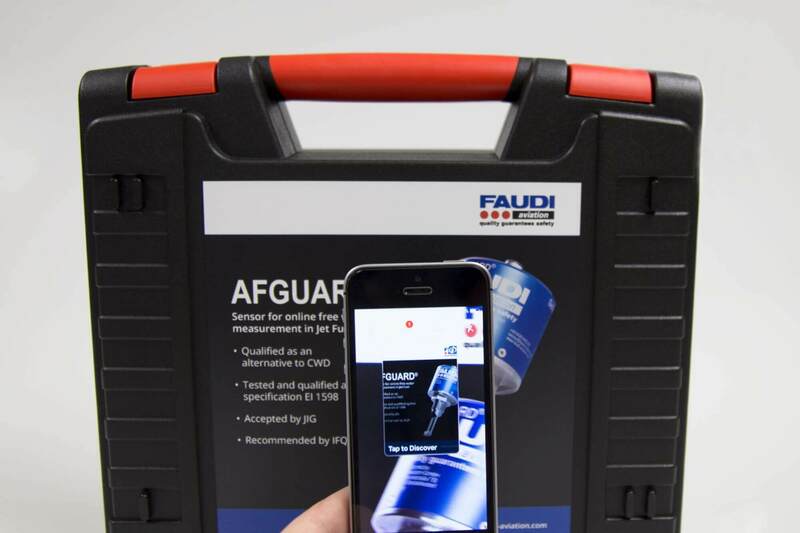 In this sector of product-specific and customer-specific customisation of case systems, in which W.AG operates, the combination of In-Mould Labelling and the Digimarc barcode offers unprecedented possibilities to further enhance the functionality of W.AG’s products. The cases become more interactive, more communicative and simply more intelligent.